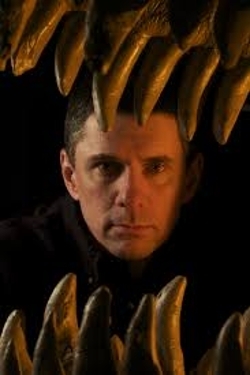 A professor of anatomy hopes to resurrect dinosaurs – flesh and all – in the minds of audiences at Southern Illinois University Edwardsville. Lawrence M. Witmer, PhD, Chang Ying-Chien Professor of Paleontology in the Department of Biomedical Sciences of the Heritage College of Osteopathic Medicine at Ohio University, will present “Fleshing Out Dinosaurs! From Darwin’s Bulldog to advanced 3D modeling” at 4 p.m. Monday, Feb. 15 in the Morris University Center Meridian Ballroom. Witmer’s presentation is part of the Ralph W. Axtell Lecture Series, named for SIUE Department of Biological Sciences emeritus professor, who worked for more than 50 years at the University. The presentation is being given as part of SIUE’s recognition of Darwin Day 2016, according to Chris Theodorakis, PhD, professor in the SIUE Department of Biological Sciences and one of the program’s coordinators. This is the third year that SIUE has participated in the national observance for Charles Darwin. Because of the ongoing fascination with dinosaurs, Witmer’s presentation is expected to not only be informative, but entertaining as well, said Theodorakis. Witmer has been featured in Discover magazine and many television documentaries. “With the popularity and interest of such movies as Jurassic Park, people are quite interested in dinosaurs,” he added. “We know a lot about dinosaur skeletons, but not very much about their soft tissue and muscles. “Witmer’s research focuses on computer simulation and 3D imaging to try and get an idea of what the soft tissue looked like,” Theodorakis said. The Axtell Lecture Series is being sponsored by the SIUE Wildlife and Conservation Biology Club and the Department of Biological Sciences.